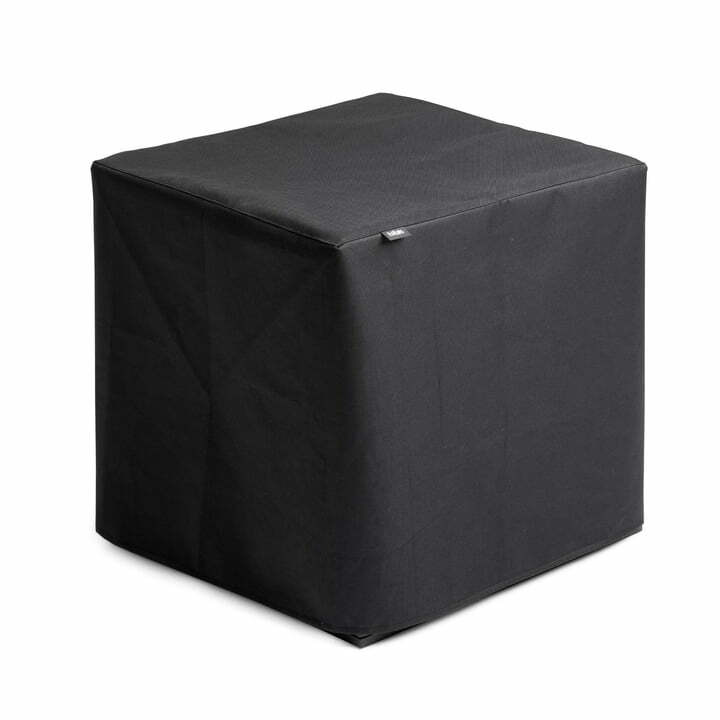 The Cube F cover from höfats protects the Cube F fire bowl even better against wind and weather. Made of nylon and polyester, the hood is water-repellent and equipped with a high-quality outdoor zipper. So the fire basket is also protected from frost or heavy rain. Thanks to the two handles on the cover, the Cube F fire basket is easy to transport. So nothing stands in the way of a trip to the sea or the park. In addition to the cover, a matching grill grid and a support board for the Cube F are also available. The cover for the Cube F fire basket from höfats. The hood made of nylon and polyester is water-repellent and equipped with a high-quality outdoor zipper.